Julie Nutting Designs: Key Largo, Here I Come! Key Largo, Here I Come! 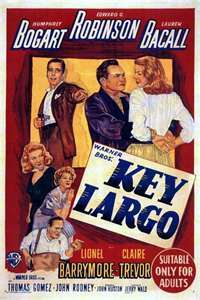 One week from today I will be flying to Florida to teach a class in Key Largo. This all came about because of a woman writing and asking me if she could teach a class featuring my girls. I told her I would love to come and teach a class, and so it began. The journey to Key Largo. As I was getting some of my stuff ready today (while dealing with a flat tire and a cracked and very expensive rim...thank you California potholes! ), a darling little lugage tag came in the mail today with my name on it. Sent by the pillow fairies! Hmmmm I wonder what else these little fairies have up their sleeves? How exciting Julie! Have a great time and I hope you will post all about it and share lots of pictures! So cool! I'm so happy to see where your artful journey is taking you. Have fun and be safe. Cant wait to hear/read about it! I just know the "what else these little fairies have up their sleeves " is going to be all kinds of fun in Florida ! Have a blast and fill us in with all the details and lots of snaps when you return.